Sometimes even most colorful pot of flowers can use a little sprucing up! Shannon Lockett is a Master Gardner in the Black Hills and works with house plants at Jolly Lane Green House. 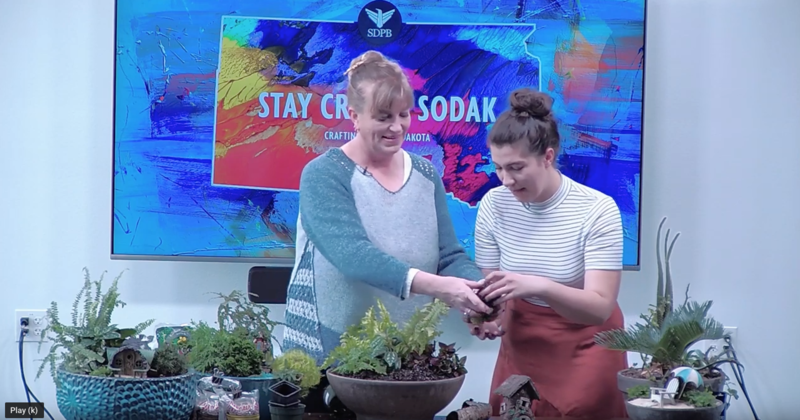 She teaches how to pot your own decorative scenes and create fairy gardens. Oh, and she’s our host Chynna Lockett’s Mom! Let’s get crafty, SoDak!